A Short Journey Through "The Mind Maps" | Trees and More..
Tony Buzan highlights several interesting facts related to the brain and its structure. The structure of the nerve cell especially the tree like branches of that (dendrites from Greek δένδρον déndron, “tree”) radiate around the nuclear area of the cell. From this he has a made a leap of faith that our memory and thought processes should look like the dendrites! 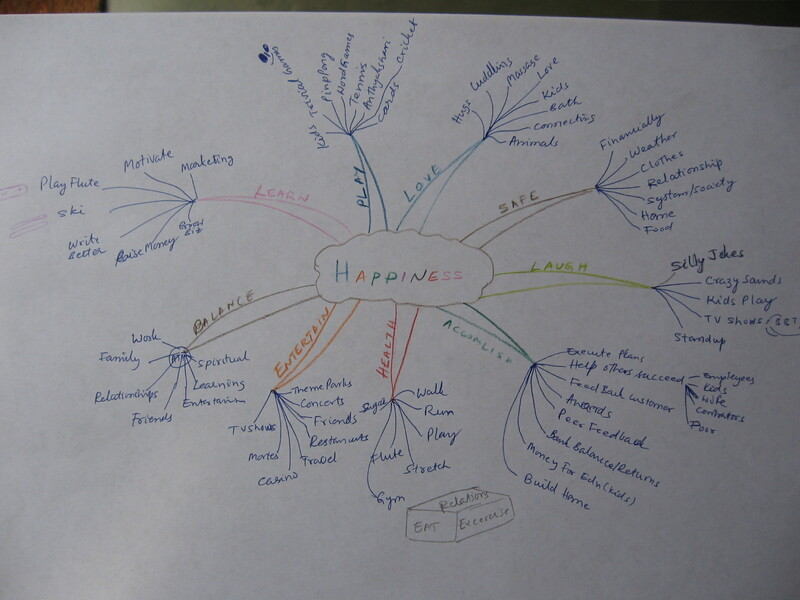 So, despite being skeptical about Buzan’s hypothesis, I decided to experience “the Mind Maps”. Yes, I went through an exercise in the book to my son’s amusement. Wouldn’t it be fun to watch your dad sit with a bunch of crayons and sheets of paper! 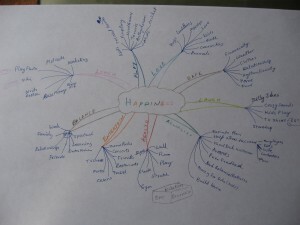 Yes, you can mind map your feelings..Go Buzan! I decided to test my new found technique against my teenager’s younger dendrons! We decided to memorize his new phone number..Brute short term memory vs “the Mind Map”. After giving ourselves the same amount of time to memorize, we tested ourselves, few hours later and the next morning. I actually remembered the number (got one number wrong first but quickly recapped the map to get it right). My son did it too and he was declared the “winner” since I had one digit wrong. However, I truly felt like a winner! I have challenged by these phone numbers for more than two decades now. For the first time, I confidently recalled the number few hours later and the next day. My phone number Mind map actually worked!! We are in the middle planning for our new home. We wanted to list all the stuff we needed in our future home before we meeting the architect. We had done a short list and it was already getting little stressful. 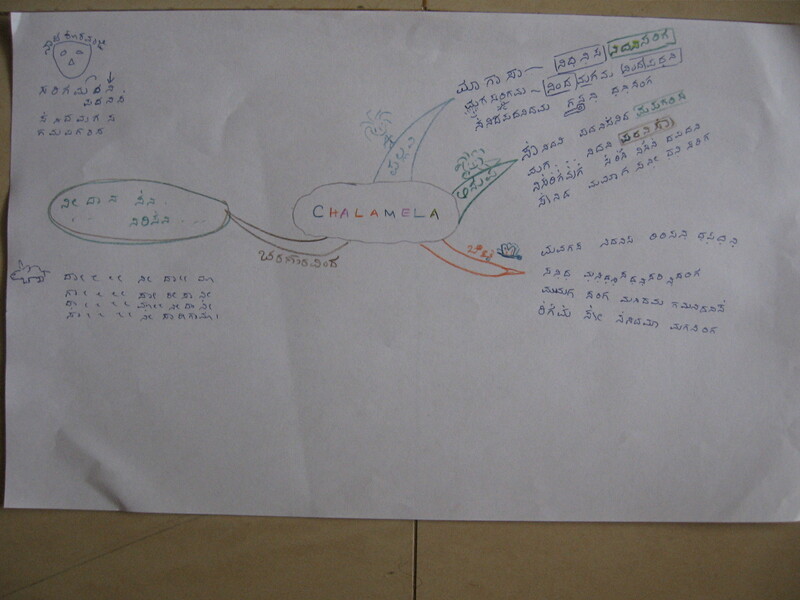 Armed with this new technique of mind map, I convinced my wife to give mind map a try. We armed ourselves with a large white sheet and crayons, pencils and pens! We ended up with the picture below (“the house map!”) after about 30 minutes. 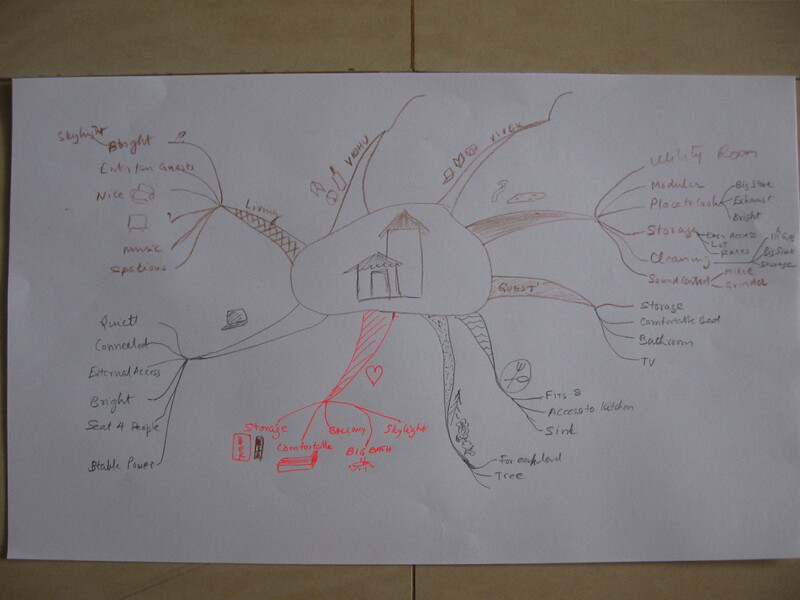 New Home Requirement Gathering Mind Map – Let the creative juices flow without judgmental road blocks! We did not argue or make judgmental remarks during the entire process! 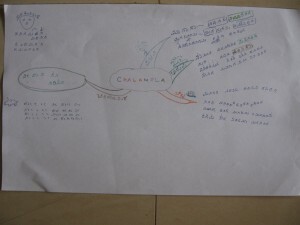 After 204 pages and some real successes, I tried putting the Mind Map to work for my music lesson..To memorize a Carnatic classical varnam in the raga Nata Kuranji! Other than helping me memorize the parts of a varnam, it has been useless! What might work for the sounds or video? 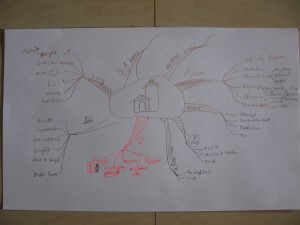 Is there a way to modify this amateur mind map of varnam to something that would actually help? This entry was posted in Uncategorized by mook. Bookmark the permalink.